The union, which was behind the strike at Hostess Brands that was cited by the company in its decision to shut down operations, is hopeful that not only will a buyer emerge to save the company, but a new owner would offer higher wages than they were previously receiving. 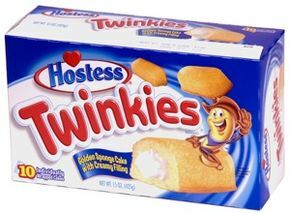 According to a report in The Wall Street Journal, Frank Hurt, president of the Bakery, Confectionery, Tobacco Workers and Grain Millers Union which represented 5,600 workers at Hostess, told the paper that a buyer could be encouraged to offer worker’s a better deal after seeing the negative reaction to Hostess’s proposal. Say what? The union head thinks that because the workers resoundingly rejected the company’s contract proposal which was aimed at cutting costs that a new owner would automatically pay the workers more? What universe is he living in? There have been plenty of rumors swirling around that buyers are looking into the possibility of buying the iconic Hostess and Wonder Bread brands, but it is more than likely that they will just absorb the brands into current operations and will need few of the former Hostess Brands workers and their costly union wages and benefits. Hurt is just trying to put a good face on a disastrous situation for his union. Accepting lower wages and benefits is never easy, but throwing his 5,600 striking members out of a job along with the nearly 13,000 employed by other unions, shows just how badly he misjudged the company’s threat to close down unless the workers accepted a new contract. Well at least he lived up to his name by putting a big Hurt on his members, just before the holidays. Two months after Jennifer Wedel elicited President Obama’s help in finding her husband a job, the phones have stopped ringing and Darin Wedel is still unemployed. Jennifer Wedel was participating in a Google Plus “hangout” chat with Obama where she told the president of her husband’s inability to find work which she blamed largely on the restrictions placed on H-!B visa holders which her husband was one. Obama sensing an opportunity with high unemployment numbers plaguing his administration, asked for Darin’s resume saying that America lacks enough skilled engineers like Wedel. That request spurred plenty of phone calls from recruiters and follow-up by the White House, but no job for Wedel. One complication is that Wedel’s child custody agreement prevents him from leaving North Texas. A slight complication that maybe Jennifer Wedel could have mentioned as being a factor in her husband’s job search. Jennifer Wedel told the Ft. Worth Star-Telegram she had hope after her conversation with Obama. For Obama it seemed like a good political move at the time, but it has backfired as he should have had his staff fully vet the Wedel’s before committing to help them. If he was successful he could claim victory, but by making a promise to help them out,he raised their expectations beyond what was reasonable and his failure to find Wedel a job, only makes him look worse. That’s probably the last time he’ll make a commitment like that in public. Rep. Maxine Waters (D-CA) appearing on Meet the Press called for President Obama to announce a bold jobs program this week to the tune of $1 trillion. What’s a trillion when you are trying to get people back to work before the 2012 elections? President Obama on his midwestern bus tour pinpointed one of the main causes for unemployment- the internet. Obama: One of the challenges in terms of rebuilding our economy is – businesses have gotten so efficient, that, when was the last time somebody went to a bank teller? Instead of using an ATM. Or, used a travel agent instead of going online. A lot of jobs out that that used to require people now have become automated. Obama Agriculture Secretary Tom Vilsack tells MSNBC that food stamps are an economic stimulus and that it creates jobs. This along with both former Speaker Nancy Pelosi and White House Press Secretary Jay Carney stating that continuing unemployment benefits creates jobs makes it clear that the administration is absolutely clueless on how to solve the unemployment crisis.